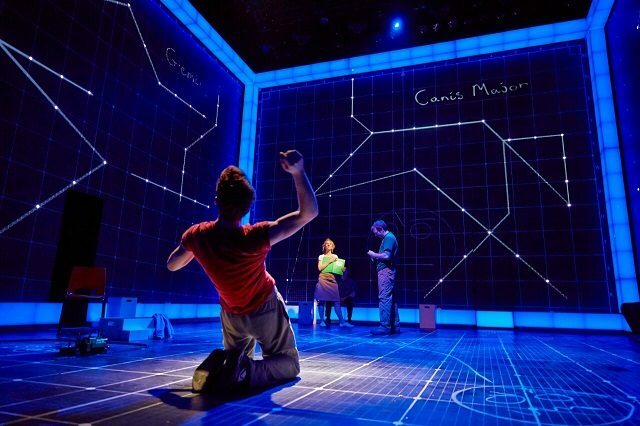 The Curious Incident of the Dog in the Night-Time is finally back where it belongs on the West End following its untimely departure in December last year. I was thrilled to be invited back to see the show a second time as it has been over a year since my first viewing of the stage spectacular (and it is!) Whilst I really enjoyed the show on a first viewing in 2013, I have discovered that absence has in fact made the heart grow fonder as the show sprung back to life bigger and better than before. I imagine that those reading this review already KNOW that Curious is a fantastic show, I mean they didn’t get those seven Olivier Awards for nothing. 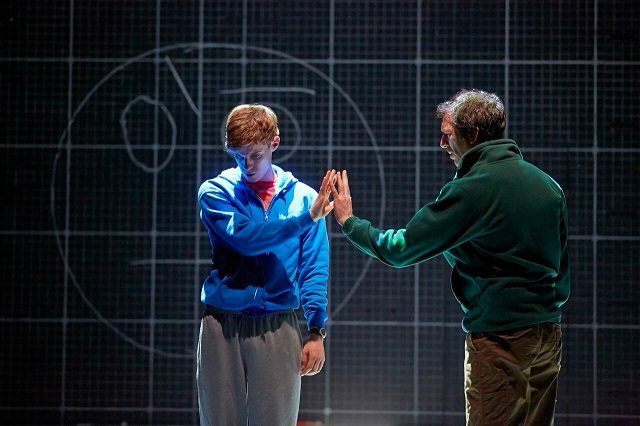 So yeah, it’s no secret, but let me tell you WHY The Curious Incident of the Dog in the Night-Time is one of the best new plays to grace the 21st Century. Firstly and most importantly, Bunny Christie’s set coupled with Paul Constable’s lighting design brings the piece to another level of theatrical greatness. This could be one of the first instances of “total theatre” in this generation and the show is a real showcase of how to utilise modern day technology on stage. You can SEE the money you paid for this show onstage and for me that is a good sign. The set reflects Christopher’s mind; it is linear yet imaginative, playful yet strict, but above all else, it is intelligent and full of surprises. For me, this is scenography in its finest form. Gush gush gush. The role of Christopher Boone is an actors gift; he functions on so many different levels with a spectrum of tempo rhythms. Luke Treadaway famously won an Olivier for his portrayal of Christopher, but it seems to me that Graham Butler can rival Treadway’s outstanding delivery and makes the role his own. Butler manages to make the audience laugh, cry, ball up with frustration and fill up with love all in the space of a couple of hours…and if you have read my reviews before you will know I am stickler for shows that can make me FEEL something. In the spirit of “feeling,” it’s not just Butler who has the magic acting touch; all members of the cast, principle or otherwise, go all out to make the show what it is. Without their commitment, especially in times of physical movement sequences, the play would be much less of a stand out success. Special mention, of course, should go to Sarah Woodward for her attentive portray of Siobhan. Mark Haddon’s text (here adapted for stage by Simon Stephens form his best selling novel of the same name) is as captivating as the actors and staging. Together all elements of this piece work in a beautiful unity, unlike anything I have seen before. I could analyse the perfect portrayal of the text and the many moments of subtle symbolism in the work until the cows come home…best you just book yourself a ticket and see this show for yourself. You WILL NOT be disappointed!